Please click on Contact Us and let us know if you prefer digital or paperback. Thank you to everyone who commented on Manda’s new release last week, and to those who shared our link on Facebook and Twitter. We appreciate your enthusiasm for our Kiss and Thrill author and friend! 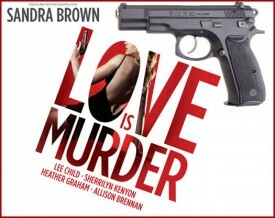 TOMORROW: We interview WILL SIMON, forensic computer PI, author of several thriller novels and a story in the Love is Murder 3 anthology. If his plots are even remotely based on personal experiences he should be assigned a triple-digit aka…like: Will Simon, 008. 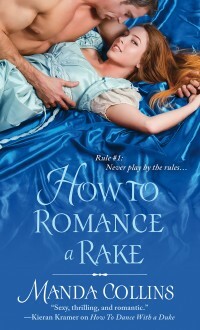 This week at Kiss and Thrill we are excited to celebrate the release of HOW TO ROMANCE A RAKE by our own Manda Collins! We are so excited about Manda’s release we are giving away books! Leave a comment about historical romances with a mystery/suspense subplot for a chance to win a print or ebook copy of Manda’s books. We’ll leave the comments open until 11:59 pm EST on Sunday, August 5th, and announce the winner on Monday, August 6th. 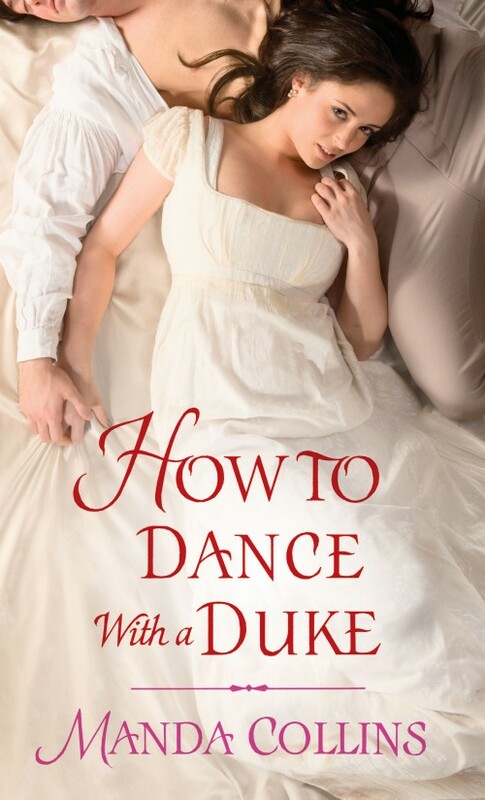 One winner will win both HOW TO DANCE WITH A DUKE and HOW TO ROMANCE A RAKE. If you’d rather not leave a comment, but are on Twitter then tweet “#HowtoRomanceaRake” and include @KissandThrill in the tweet and you will be entered in a second drawing. One randomly selected winner will receive HOW TO ROMANCE A RAKE.